Roughly 5,800 species of animals and 30,000 species of plants are protected by CITES against over-exploitation through international trade. They are listed in the three CITES Appendices. The species are grouped in the Appendices according to how threatened they are by international trade. They include some whole groups, such as primates, cetaceans (whales, dolphins and porpoises), sea turtles, parrots, corals, cacti and orchids. But in some cases only a subspecies or geographically separate population of a species (for example the population of just one country) is listed. The table below shows the approximate numbers of species that are included in the CITES Appendices as of 2 January 2017*. Birds 155 spp. (incl. 2 popns) + 8 sspp. 1278 spp. (incl. 1 popn) + 4 sspp. 27 spp. Amphibians 24 spp. 134 spp. 4 spp. Invertebrates 69 spp. + 5 sspp. 2171 spp. + 1 sspp. 22 spp. + 3 sspp. FAUNA TOTAL 669 spp. + 38 sspp. 4952 spp. + 12 sspp. 190 spp. + 14 sspp. GRAND TOTAL 1003 spp. + 42 sspp. 34596 spp. + 12 sspp. 202 spp. + 14 sspp. + 1 var. 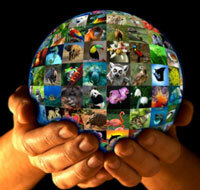 Any type of wild plant or animal may be included in the list of species protected by CITES [see Resolution Conf. 9.24 (Rev. CoP17) and the range of wildlife species included in the Appendices extends from leeches to lions and from pine trees to pitcher plants. While the more charismatic creatures, such as bears and whales, may be the better known examples of CITES species, the most numerous groups include many less popularized plants and animals, such as aloes, corals, mussels and frogs. *Please note that these numbers are approximate because there are no agreed lists for some of the higher taxa. The abbreviation "spp." is used to denote species; "sspp." for subspecies; “var.” for varieties; "popns" for populations.